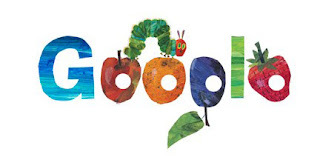 Welcome to Doodle 4 Google, a competition where we invite K-12 students to work their artistic will upon our homepage logo. At Google we believe in thinking big and dreaming big, so this year we're inviting U.S. kids to exercise their creative imaginations around the theme, "If I Could Do Anything, I Would …"
If I could do anything I would make the world a more charitable place. I will try to set examples in helping someone in need. I will raise money to help out people and animals in need. If I could do anything I would… Game it up with Google. By playing video games, you gain knowledge and become smarter. There are lots of games- educational games, sporting games, and games that teach you patience, at least that is what Mom says. Games are great for learning! If I could do anything I would learn about my state. I’ve just moved from Arizona this year. Since I’ll be living in Kansas I wanted to learn more about the state facts. I love them all but the first one is my very favorite! !